Free lesson content is always a bonus when considering purchasing lesson resources. We have expanded our sample lesson and added a free modelling tutorial so you can get a feel of how our CAD modelling tutorials are structured. 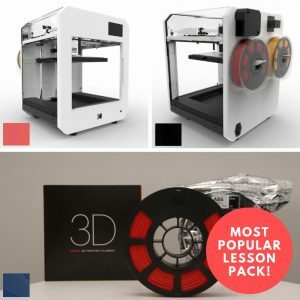 All our writers are current full time classroom teachers so we know what students need when it comes to learning about 3D printing. When starting out in 3D printing the key to making progress in lessons is not to try and conquer the world in the first lesson. It may be tempting to go big from the start, but experience from teaching in the classroom for the past 10 years always taught me that it’s best to ease students in to new learning concepts. Give children the building blocks, scaffold their learning and then they will flourish when it comes more challenging tasks. This is especially important when learning how to design for 3D printing. 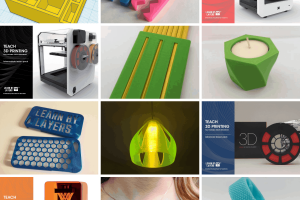 The world of CAD can be a vast and highly complex with endless possibilities. However, when starting out, less is more. Allowing children to gain a sense of achievement in a relatively short space of time is part of a teachers toolkit in developing students confidence. 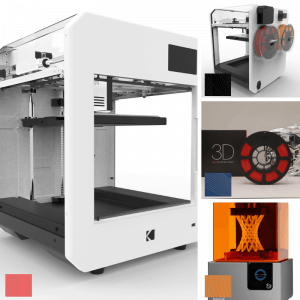 With 3D CAD being a digital learning process, it is also important that students get the tangible, physical experience of what they have designed in a relatively short time span, preferably the next lesson to keep their interest in the learning. The new modelling tutorial added to the free lesson teaches students how to design a headphone cable wrap. Yes, I know what you might be thinking…. but headphone are now wireless, and that’s true. But the majority of students I teach can’t afford expensive wireless headphones, and always use the traditional cable design. Also, they don’t need to be charged and you will never loose one of them! 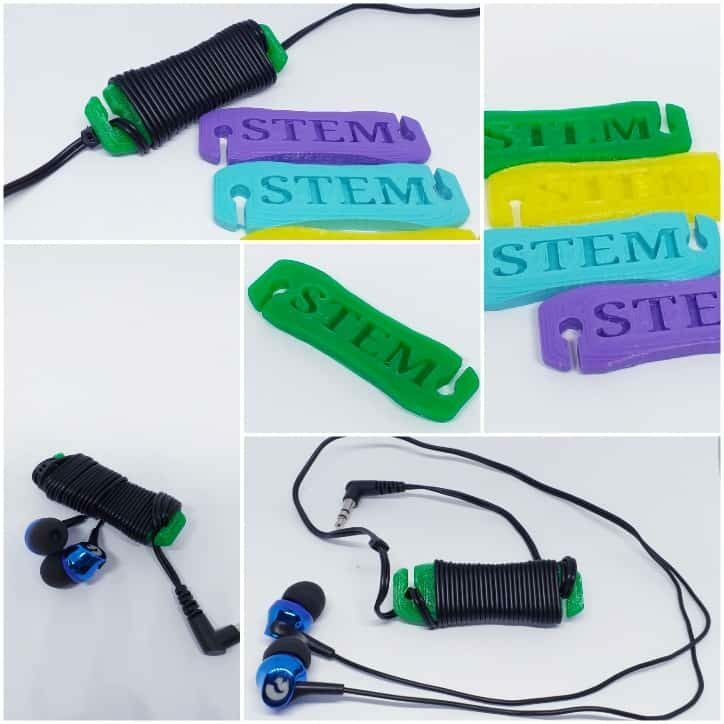 This concept of a headphone cable wrap is a great task to introduce young children into design for 3D printing. 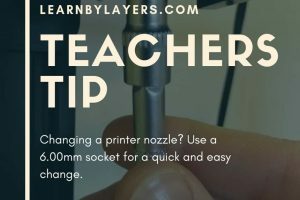 The tutorial is based around tinkerCAD and can be modelling in a lesson. (It is part of our free lesson 1 that can be downloaded from the ‘free lesson plan’ tab on the left of the screen). The great thing about this design is it can be printed in a little over 30 minutes. We printed the examples at 0.2mm layer height at 50mm/s and they took 31 minutes. We used PLA at 220 degrees with a heated bed at 60 degrees and they all printed perfect first time. The design came off the print bed with easy and they look great when being used. 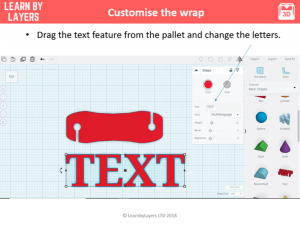 The tutorial also teaches children to use the text customise feature in tinkerCAD to personalise the design. This forms part of lesson 1 in the beginners lesson pack, and also comes with all the other lesson pack bundles. 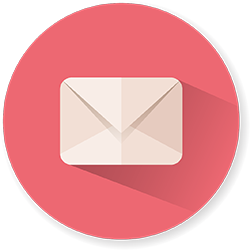 Every lesson pack has lesson plans, CAD modelling tutorials, lesson tasks, homework tasks, video tutorials, answer sheets, assessments and more. Also they are fully editable by the teacher allowing for complete maximum flexibility in the classroom. I hope your enjoy this tutorial and if you have any questions let us know and we will get back to you.